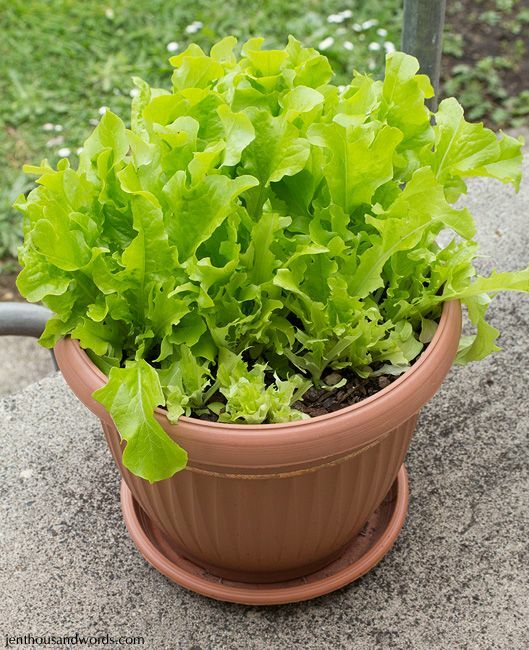 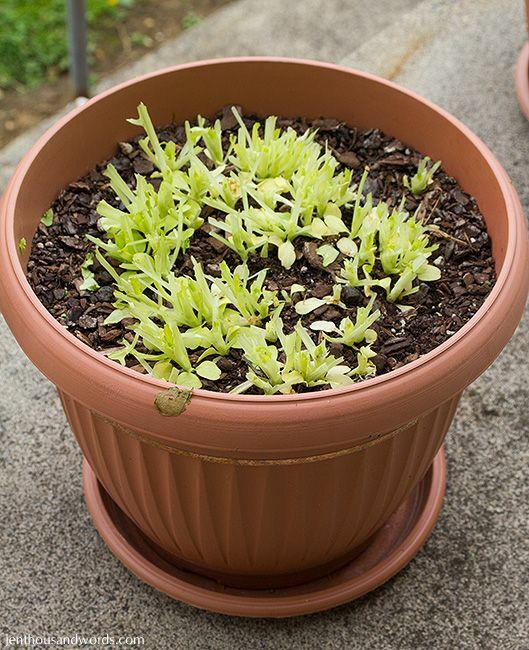 I bought some more seed to plant lettuce randomly throughout the garden where they like to scratch. 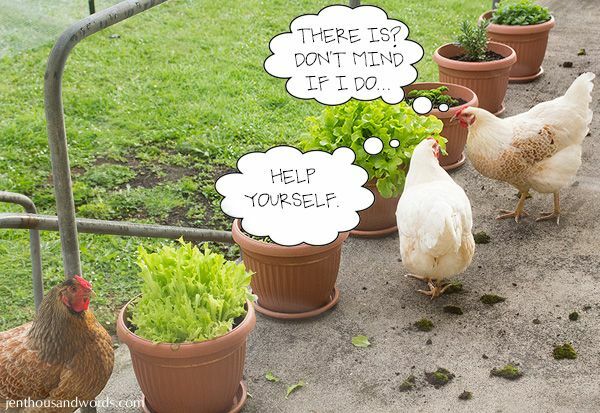 Hopefully there will be enough for all of us this summer. 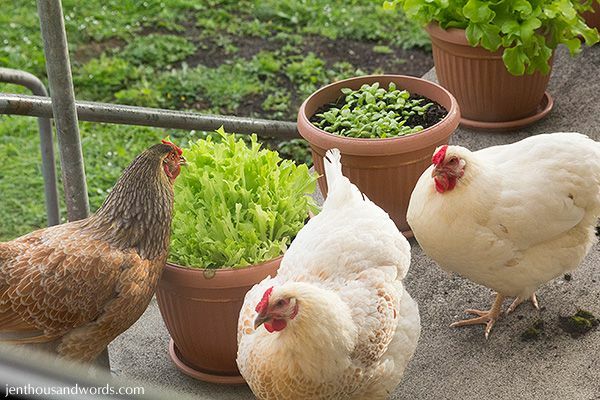 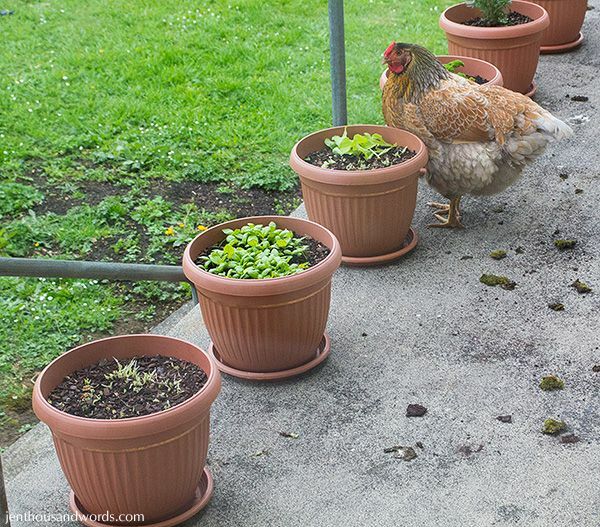 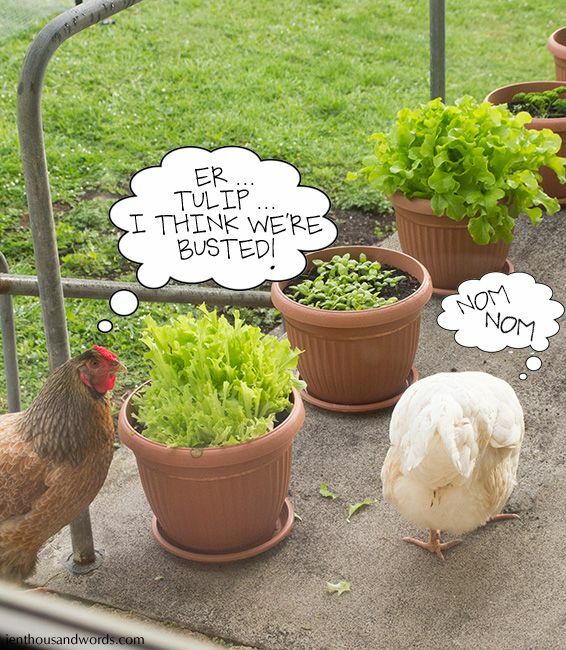 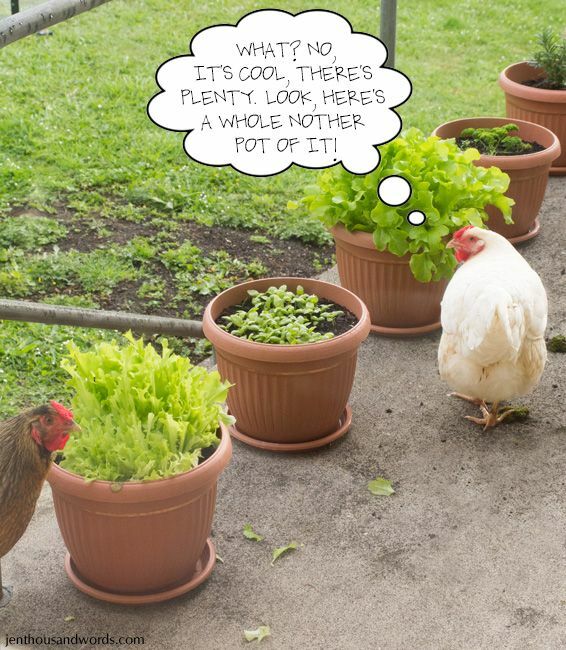 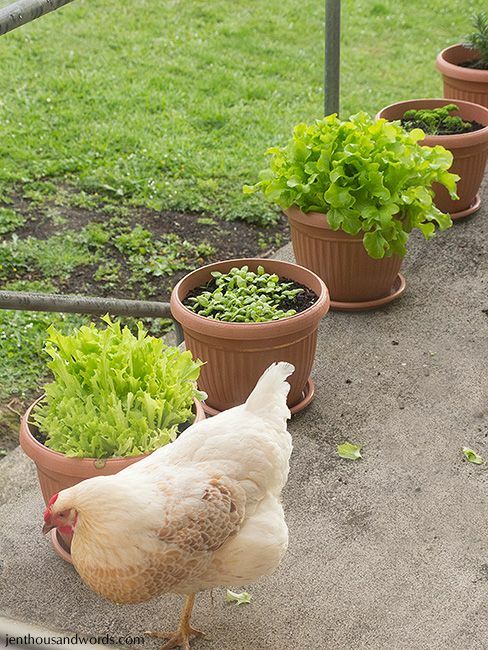 I'm not totally naive, I know that chickens can decimate plants in the garden; I just thought that the pots on the patio would be safe since they don't usually wander up there.